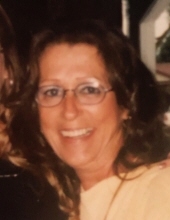 Thelma Marie Woodruff, age 74, a longtime resident of Lapeer, passed away April 11, 2019. Thelma was born April 24, 1944, in Redford Twp., MI and moved to Lapeer 44 years ago. She was an extremely hardworking woman who always put her family first and made sure that they were well taken care of. Thelma retired from General Motors after 32 years of employment as a automotive welder. She was a proud and devoted member of the Lapeer Kiwanis Club for 14 years. She was also a member of the Lapeer Moose Lodge, Lapeer Fraternal Order of Eagles, and the Lapeer VFW. Thelma enjoyed spending time with her family, her pets, and driving her three-wheeled Spider motorcycle. She lived life to the fullest and was truly an angel with a heart of gold. She will be deeply missed by many. Thelma is survived by her two daughters Shannon Marie Miller of Lapeer and Cristene Michele Woodruff of Lapeer; her four grandsons, Derrick Miller, David Miller, Jayden Marsh, and Quentin Marsh; her two great grandsons, Blake Miller and Dallas Miller; her brother, Thomas (Darlene) Zuber; her sister, Theresa (the late, Gary) Truba; her special friend, Will. She was preceded in death by her parents Joseph and Roseanne Zuber; brothers Edward Zuber, Paul Zuber, and Joseph Zuber. Memorials to: Special Parents Initiative for Down Syndrome Education and Resources (SPIDER)706 W. Nepessing St., Lapeer, MI 48446. A funeral service will be held on Thursday, April 18th at 11:00 a.m. at Lynch & Sons Funeral Directors - Capstick Chapel in Lapeer. Pastor Drew Jolly will be officiating. Friends may visit on Wednesday, April 17th from 4:00 to 8:00 p.m.
"Email Address" would like to share the life celebration of Thelma Marie Woodruff. Click on the "link" to go to share a favorite memory or leave a condolence message for the family.